Mostly Positive (414) - 78% of the 414 user reviews for this game are positive. “To start, there will be improvements and additions to the current game. The world will get larger and more vibrant and varied, the creatures more intelligent and more useful with additional abilities, the survival gameplay deeper and more rewarding, the content and items more numerous, the UI cleaner and easier to use, and many other updates. 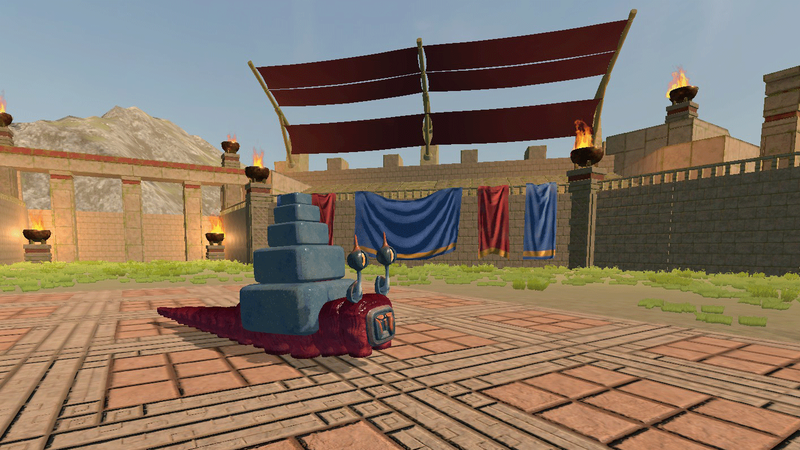 But there will also be new features and gameplay added as well, like modding and scripting, additional creative tools, advanced creature training, alchemy, friendly NPCs, boss battles, sharing creatures with the community, and tons more. Plus all the great ideas, suggestions, and feedback we get from the community. It’s tough to list everything here, so our roadmap is always available for a more comprehensive and updated look at what we have planned. “We consider the current Early Access version of CHKN to be in an early beta state. The game currently includes the core versions of Creative, Adventure, and Arena modes for playing and testing, so you can build creatures using 150+ Life Blocks and dozens of different abilities (more to come); give them basic commands; explore the tropical island biome (the first of 5); gather resources and craft them into basic items, tools, and structures; and pit creatures against each other in battle. Our empathic intelligence AI is already at version 1.0 so creatures can actually learn, obey commands, express emotion, and develop relationships with the player, fellow creatures, and objects in the world. “We think of the community as our co-designers. We’re making CHKN together and love to hear from players about any aspect of the game. Our Discussion Forums are open for feedback, constructive criticism, sharing ideas, bug reports, troubleshooting, or even if you just want to chat with fellow CHKN players. We check in on the boards regularly. The development roadmap is always available for you to view, so you can let us know what you think of what's coming and what you'd like to see added. You guys have been requesting quality of life improvements to inventory management so here they are! (Thanks, btw.) 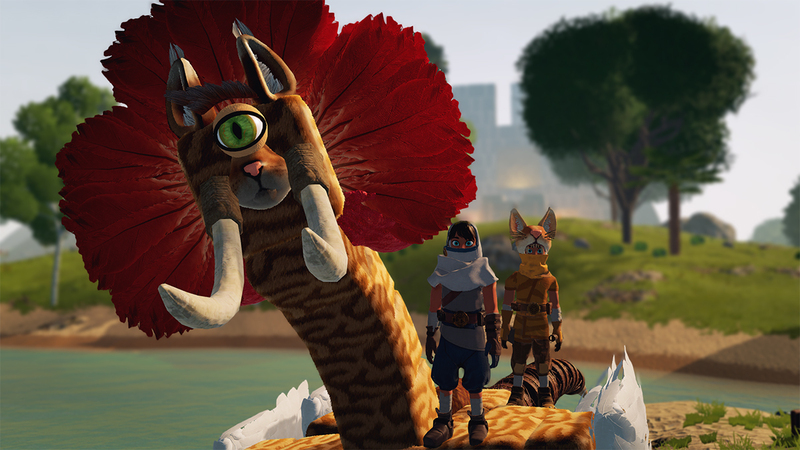 This update also has multiplayer fixes, ability balancing and other creature improvements, and more. Check out the patch notes below and download the update to try for yourself. Let us know what you’d like to see next and vote in our polls over on the CHKN Discord. DOUBLE-CLICK an item to gather all loose items of the same type. For example, double-clicking one Small Chicken Body in inventory will grab any other stacks of Small Chicken Body and join them all together in one stack. Super handy when you’re low on inventory space. Added the ability for us to send in-game dev responses to players who submitted the feedback form so we can assist with any issues, ask for more info if needed, or just say thanks! Don’t forget to subscribe to your YouTube channel for our dev streams, sneak peeks at upcoming updates, and playlists featuring community Let’s Plays. 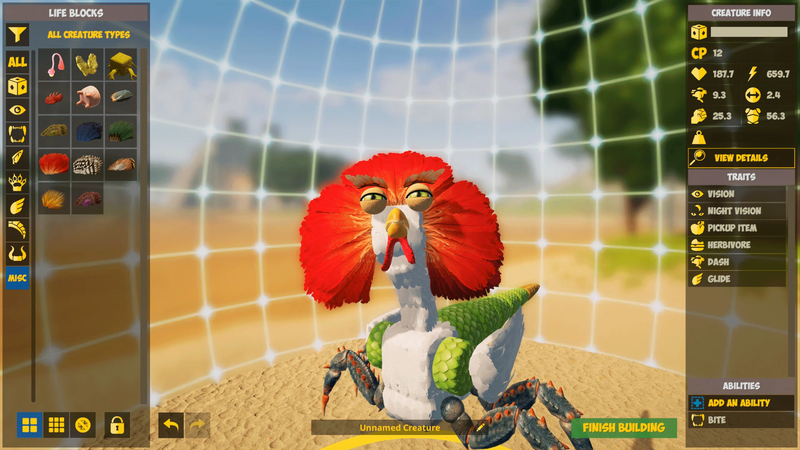 This latest update has brand new features in the creature builder, improvements to creatures throughout the game, plus a ton of bug fixes thanks to our Discord helpers. If you have any feedback or issues to share, let us know on Discord!